Black seed, or Nigella Sativa as it is formally known, is mentioned in the Bible, in the words of Mohammed, and found in ancient tombs, including the one of the Egyptian pharaoh, Tutankhamun. But somehow the benefit and usage of this miracle oil were lost over time until recently. Now there are many peer-reviewed studies that discuss how to use black seed for multiple diseases, such as cancer and diabetes. Read on to learn exactly how drinking black seed oil can alleviate many serious ailments. Black seed oil is sometimes called black cumin seed. And black cumin seed isn’t the same as the cumin you might use in your taco seasoning. It can get confusing, so make sure that you go by the scientific name which is nigella sativa. This is a flowering plant that produces these black seeds that are then pressed into black seed oil. So when you shop, make sure to look for nigella sativa oil. How is Black Seed Oil Made? You can make black seed oil yourself from the seeds or buy the oil ready to go. If you decide to make your own oil you should first wash the seeds thoroughly. Then place the seeds in a pot on low heat. Make sure to stir them every few minutes so they don’t burn. The reason you heat the seeds is to get rid of the harsh taste that is also too harsh for the stomach. Heat for about 10-15 minutes and then grind the seeds in a coffee grinder. Fill veggie capsules with your ground seeds to make consuming them easier. Billions of dollars go to cancer research and cancer treatments each year. But what if mother nature already provided the preventive medicine for this deadly disease? Cancer occurs when cells mutate. Then the cells grow exceedingly fast and create tumors. Black seed oil has 2 phytochemicals in it that work to prevent cancer. They are thymoquinone and thymohydroquinone. These natural chemicals have anti-inflammatory properties that promote healing on a cellular level. These chemicals also halt new cancer cells from growing. Various studies have used this oil in cancer research for several types of cancer, including lung, breast, colon, prostate, and pancreatic cancer. The oil has not yet been officially named as a cancer treatment, yet the research findings give strong evidence to support this idea. Check out this free guide on how to fight cancer with black seed oil. Infertility can result from many things from either the male or female reproductive system. Weight, age, and anatomy all play a role. Most issues, however, can be traced to hormone levels such as ovulation and sperm count. Black seed oil has been used for thousands of years to help both men and women become more fertile. The anti-inflammatory properties promote good circulation of the blood. More blood flow to the reproductive organs means increased arousal. This is why black seed oil is regarded as an aphrodisiac. Around 350 million people all over the globe have arthritis. Symptoms are painful and often debilitating. At this time, there is no cure. Most people rely on pain relief medication which, unfortunately, is linked to various side effects. Because black seed oil helps this inflammation, it is a great option for those who suffer from arthritis. A clinical trial comparing acetaminophen and black seed oil in senior patients found that a topical application of the oil was more effective than taking Tylenol. As a result of this trial, the researchers named black seed oil as a safe supplement for seniors with arthritis in the knee. There are various types of heart disease. One of the leading heart ailments is atherosclerosis which is due to chronic inflammation and chronic high cholesterol levels. Basically, it is a build-up of plaque in the arteries. The exact cause of this disease is not known yet. One study on animals found that black seed oil and black seed powder showed a greater reduction in cholesterol than a leading drug. Plaque in the arteries was similarly reduced. Further research, including clinical trials, will be able to provide more data to back up the findings of this study. Yet, this shows that black seed has properties that are effective at lowering cholesterol and may be used to combat strokes, artery diseases, and heart attacks. Various animal and human studies have found that black seed oil could be used as diabetes medication. One study found that 2 grams of black seed oil each day decreases elevated glucose levels in the blood of people with type 2 diabetes. The mean reduction of those blood glucose levels after 6 weeks was 62mg per 100 ml. Black seed oil has many properties that are beneficial for people with glucose intolerance or for diabetics. Black seed oil reduces appetite and the production of glucose in the liver. It also improves sensitivity to insulin and tolerance to glucose. Up to 24,000 people die from diabetes each year because they are unable to manage their condition safely. 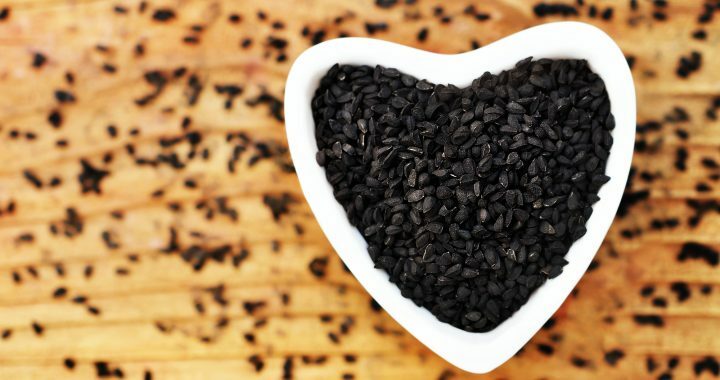 Virgin black seed oil could potentially save lives. Acne is an ailment that afflicts people not only during puberty. Adult and baby acne is also common. Permanent scars, pits in the skin, and infections are side effects of acne. Acne is due to oil that clogs facial pores while dead white blood cells gather under the top layer of your skin. This is what causes the raised bump on your skin that may or may not have a white or black tip. Acne is an ailment that ranges in severity. Doctors sometimes prescribe prescription drugs and creams in severe acne cases. Drinking black seed oil is another solution to clear up acne. This oil fights infection and reduces inflammation. It is also a natural treatment for other skin disorders such as psoriasis and eczema. Check out these black seed oil prices to see how it compares to traditional acne treatments. The vast majority of Americans are either obese or overweight. That’s a total of 160 million Americans! And that number continues to climb. Black seed oil acts as a natural appetite suppressant to help people eat less. And since most people overeat, this can go a long way in fighting the obesity epidemic that is sweeping through the country. Not only that, but drinking black seed oil promotes a balance of sugar levels and cholesterol. It also boosts metabolism so that your body can be more effective at burning off the calories you consume. A higher metabolism means that your body won’t store as much of your food as fat, but will instead use it as an energy source. Your immune system is your body’s protective system that fights off infection. This system defends you against colds and bacteria that enter your body. Many people suffer from repeated colds and other illnesses. Or their colds linger for weeks before finally tapering off. Drinking black seed oil gives your body a boost of antioxidants. The job of the antioxidants is to help your immune system do its job. It is a catalyst that promotes a stronger immune system. Yes, black seed oil also works to fight viral infections in the same way that antibiotics do. You might have noticed that your doctor hesitates to prescribe you antibiotics if there is a chance that your body can fight off the infection un-aided. That is because antibiotics stop working once your body gets used to them, and you’ll need stronger and stronger drugs to fight viruses. Antibiotics also damage the healthy bacteria in your intestines. Drinking black seed oil, however, doesn’t have these risks associated with it. Virgin black seed oil has anti-fungal and anti-bacterial properties that fight infections. The oil’s anti-inflammatory properties make it an excellent fever reducer as well. Last year, in 2017, there were 36.9 million people living with HIV all over the world. To date, no cure has been invented. Or has nature given us the answer? Drinking black seed oil cured 5 cases of HIV/AIDS in 2015. Two years after the first negative HIV result came back, the result was the same. Previously, there had been one other report of a man who drank a black seed oil and honey mixture every day. His positive HIV test came back negative after 6 months of taking this natural remedy. More research will surely follow in the Western world to help promote black seed oil as a viable cure for HIV and AIDS. We hope you found these 10 incredible benefits of drinking black seed oil insightful. Make sure to discuss any treatment changes for chronic conditions with your medical practitioner before you begin. And ensure that you purchase the highest grade, pure, virgin black seed oil for best results. Now we know the burning question you have. Where can you buy black seed oil? Check out our post that will tell you where you can go to buy black seed oil.